It’s a common practice for businesses to bill clients monthly. However, if you send regular shipments or perform frequent services for a client there’s no reason you can’t send invoices more often. If you make it a practice to send a bill after each shipment, you’ll receive more frequent payments. This is a simple way to improve cash flow for your business. Tracking invoices manually is time-consuming and can contribute to cash flow problems. It’s easy for mistakes to slip through or to neglect to send reminders when clients fail to pay on time. There are various automated invoicing solutions. You can acquire a software program or outsource the task to a trustworthy service. This allows you to create templates and send out invoices and late payment reminders on a regular schedule. Implementing a consistent and automated invoicing system often results in clients paying more reliably. Just as you want to increase the speed of incoming cash, you want to slow the speed of cash flowing out of your business. There are several ways you can slow the flow of cash outgoing on everyday business expenses. It may make sense to lease equipment instead of buying it. This lets you avoid putting out large sums of cash at once. Outsource more tasks. Outsourcing is often less expensive and more efficient than hiring full-time employees. 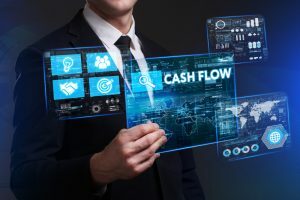 One of the best ways to prevent cash flow problems is to use invoice factoring, a type of financing that lets you collect immediate payment for invoices. Rather than waiting for clients to pay, you get cash up front from the factoring company. Invoice factoring is a good option for small businesses that have difficulty obtaining bank loans as you don’t need perfect credit. Factoring companies usually base approval on your clients’ credit rather than yours. Additionally, some invoice factoring companies, such as Riviera Finance, allow you to choose which invoices you want to factor and do not require you to factor your invoices every month. This is the great for seasonal businesses or months when your cash balance is low. Riviera Finance can help businesses of all sizes overcome cash flow problems. We are a leader in business financing, currently celebrating our 50 years in business. Learn how invoice factoring can improve your business cash flow with no new debt, contact Riviera Finance today.